To better accommodate more students the Tom Graham 5th Grade Conservation Farm Tour returns to its roots in a two day, east/west format for 2018. Classroom Programs in Full Swing! Now's the time to schedule spring education programs in the classroom! Holmes SWCD offers a wide variety of programming, and Fiscal & Education Specialist Jane Houin covers some of those options. It's Every Tree for Itself! 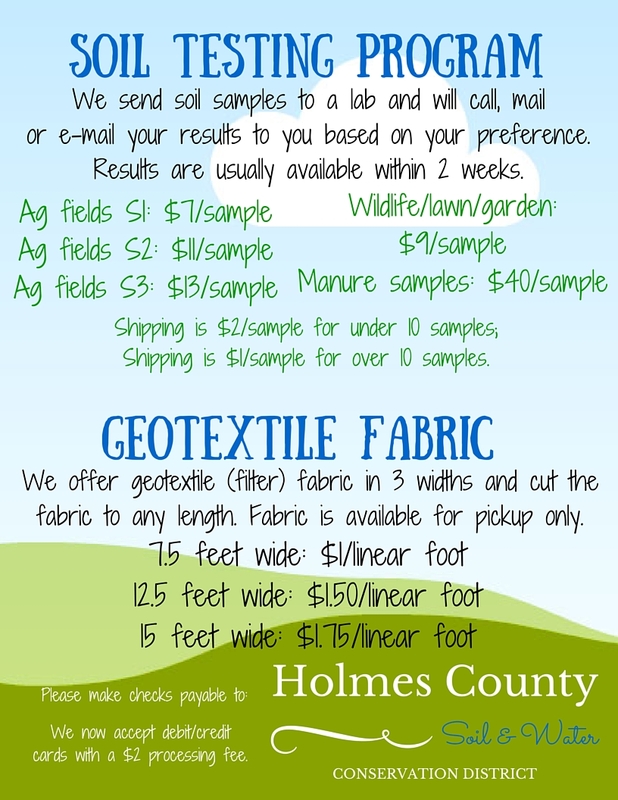 Celebrate Arbor Day and Earth Day with Holmes SWCD! Fiscal & Education Specialist Jane Houin shares the new program Holmes SWCD will be offering to celebrate those events this year: Every Tree for Itself!